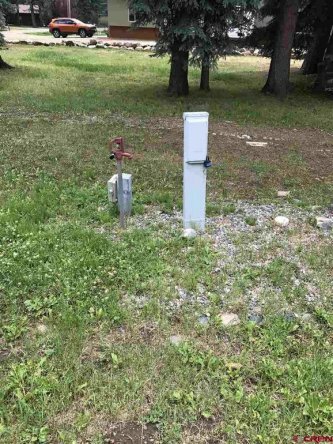 This lightly forested 1/2 acre lot with private fishing pond requires minimal site preparation for construction as all electric, water tap, and sewer connections are in place. This residential, single-family lot located at 179 Boletus Creek Drive in Bayfield, CO is currently for sale. Listed by Kyle McAfee of Highland Realty, the lot is lightly forested with spruce and fir trees in the secluded, low density Vallecito Valley II subdivision. With utilities such as electricity, sewer, and water are already paid for and in place for future homebuilding. 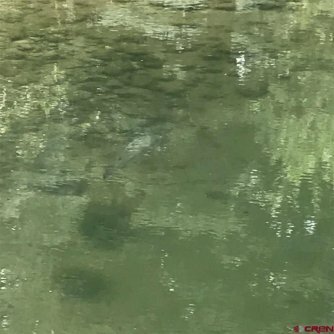 An outstanding location for a vacation home or permanent residence, this lot is located on Boletus Creek and features a private fishing pond! The neighborhood’s HOA keeps the subdivision’s roads plowed all winter long. Walking distance to Vallecito Lake and a few miles from the Weminuche Wilderness access, make this lot the place for your future home base Colorado adventures! Only a 25 minute drive to Bayfield and a 40 minute drive to Durango, this area has recreational and practical family-fun potential. Vallecito Lake is a secluded mountain valley 8,000 feet above sea level and is one of the largest and most beautiful bodies of water in Colorado. Bayfield is a beautiful small town located in Southwest Colorado with a growing population. Since 2000, the Town has developed a special improvement district and developed a business park with 38 commercial parcels on 56 acres. Today, it’s home to a number of substantial businesses and organizations. 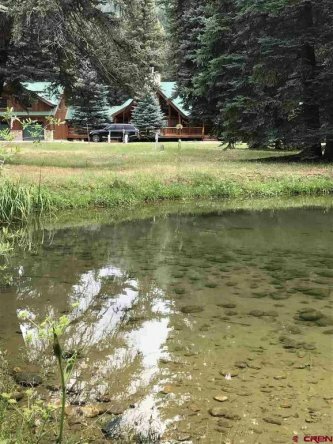 Residents of Vallecito Lake are part of the Bayfield School District and enjoy access to some of the most pristine wilderness in the lower-48 states. With classic “Colorado” winters as well as warm, languid, lake-side summers--and everything in-between! The lake is open yearly for recreation, including hosting a marina with boating, paddle boarding, fishing, and much more. There is ample access to endless miles of trail to hike, bike, and explore in and around town. The Bayfield School District offers a high school, middle school, elementary school and primary school, and a slew of higher education opportunities in relative proximity.